Honeymooners vacation in the Finger Lakes . . . a lovely spot for love and romance . . . . making long-lasting memories year round. "We had a wonderful time. Everything was very warm, comfy, and inviting. Thanks for everything!" No matter what the season, this Seneca Lake locale is beautiful and memorable. I had the pleasure and great honor to host a few newlyweds here at 1922 Starkey House Bed & Breakfast Inn. Who says that you need to venture out of the US to the Caribbean or Europe, or elsewhere in the world for a fantastic honeymoon or other vacation? The lakes, gorges, waterfalls, and vineyards here are a must see, must visit, before you go anywhere else. I have traveled to many different places all over the world and yes, there are many breathtaking spots that are truly unique to each country. But, the Finger Lakes Region has it all too, with a variety of hiking, cycling, kayaking, boating, fishing, and scenic tours . . . and is still pristine in many ways. There are State Parks, waterfalls, great eating establishments, country quiet, downtown markets, farmer's markets and more. We are blessed with the Mennonite and Amish cultures that provide stability and livelihood to our farmlands. 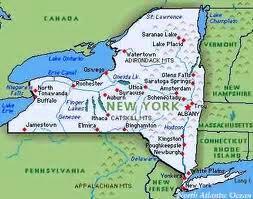 The best part is that the Finger Lakes are within a five or six hour drive from most major east coast cities such as New York City, Boston, Philadelphia, Baltimore, Cleveland, Pittsburgh, and just a few hours from Canada.